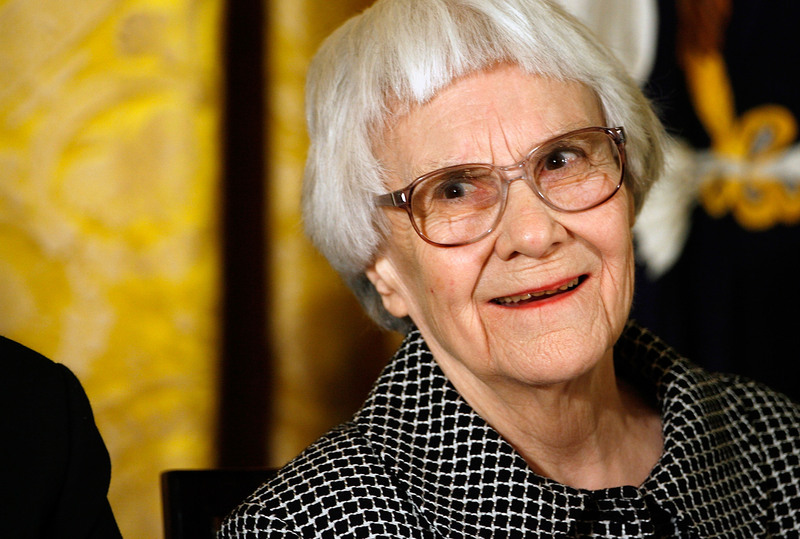 In what may be the most insane news of the day, there's a possibility that there may be a third Harper Lee novel. Yup! Lee's lawyer, Tonja Carter, has hinted that there may be yet another manuscript in the writer's infamous safety deposit box (the one in which Go Set A Watchman was mysteriously — and controversially — discovered). So, just as bookstores across America are hosting To Kill A Mockingbird read-a-thons, and readers are gearing up for Tuesday's release of Go Set A Watchman, rumors of a third Harper Lee novel have surfaced, meaning that there may be no end in sight for the Harper Lee-mania that has overtaken book-lovers everywhere. In a statement to The Wall Street Journal — the first Carter has given about the release of Lee's second novel — the lawyer mentions that another "significant number of pages" have been discovered in the writer's safety deposit box, saying vaguely, “Was it an earlier draft of ‘Watchman’, or of ‘Mockingbird’, or even, as early correspondence indicates it might be, a third book bridging the two? I don’t know..."
This statement recalls a similar claim Lee's agent made in February, citing that To Kill A Mockingbird was intended to be a trilogy, beginning with Mockingbird and ending with Watchman — which possibly confirms that this third novel, as Carter suggests, would bridge both. Whether you're riding Harper Lee-hype bandwagon, or protesting all the buzz in defense of what may or may not be Lee's wishes, there is definitely no doubt that Go Set A Watchman won't be the last we hear about the Pulitzer Prize-winning author.